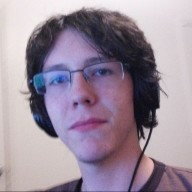 09HF4JLV: 1J9RTMRN I have aspirations for building a game engine. Work has been slow though most time has been spent figuring out opengl and figuring out an architecture for the renderer. Those things are starting to get sorted out between me and a friend though. lol that seems more like a question for a philosopher. I mainly dabble in Graphics rendering/Game Development in my free time.